After a month of testing, Opera’s radically new browser exits beta stage and is now available to download on Opera.com. 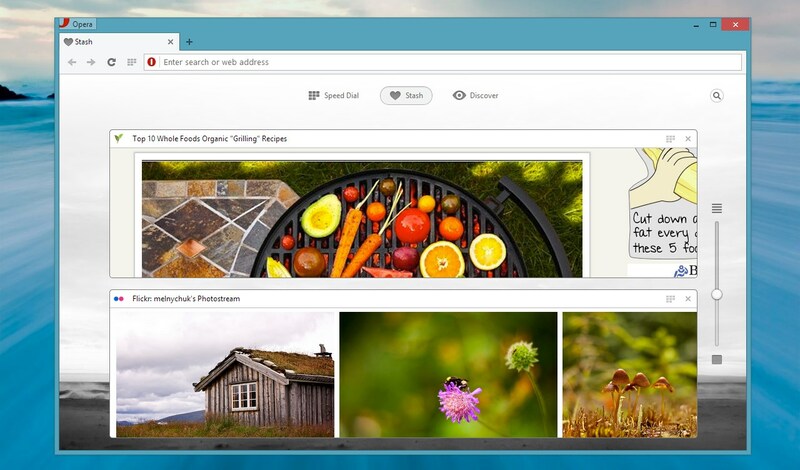 Now based on the Chromium project, Opera 15 shares a lot of similarities with Google Chrome. The company hopes to compete on features to attract new users — but it’s not there yet. Even the release cycle is now very similar to Chrome’s release cycle. Users subscribe to a release channel (Opera, Opera Next or Opera Developer) and can now expect a release every few weeks. While this strategic move was needed to keep up with the competition, the company has to give its users incentives to actually use the new version. Opera is back, but why would I use it over Chrome? Opera often brags about its innovative features that the company introduced years before Microsoft, Google, Mozilla and Apple. For example, the speed dial first appeared in 2007 before popping up in other browsers. There is an entire Wikipedia page dedicated to Opera’s features. Yet, this new release feels half-baked — the new design works well, the company finally got rid of obsolete features, but many essential features are still missing. There are a couple of new features, a Discover tab very reminiscent of Google News with a Pinterest UI, a Stash tab that works like Safari’s “Reading List”. Opera Turbo is still there, but it’s now called the off-road mode. The browser sports a long-anticipated new design that works a lot better. Tabs are slimmer, the address and search bars are now unified, the fixed status bar is gone. Overall, using Opera for basic browsing is great. The development team left many cumbersome features behind as well. The email client is now a separate app. Widgets, notes, Opera Unite’s local webserver feature are all gone. In the age of webmails and smartphones, carrying over an email client and a widget engine made sense in 2005 and maybe 2006, but not in 2013. And power user features, such as Opera Unite and mouse gestures, made Opera too complicated to the average user. Opera took the opportunity to rethink every feature in Opera’s history, making the browser a lot easier for new users. Switching from Chrome to Opera should be painless. But regular users expect a minimum set of features for their browser. For example, Opera 15 doesn’t have a “Bookmarks” menu. Instead, users should rely on the new speed dial, which now supports folders. The browser settings don’t sync with other Opera browsers (or at least not yet). You can’t customize your search engines, you can’t use a bookmark bar, etc. Opera 15 is a first step in the right direction. But it will need more work to become a serious contender against Chrome, Firefox and Safari. For now, it looks a lot like Chrome without any killer feature to make everyone switch.